No matter what time of the year, delectable food and refreshing cocktails always level up the fun. And when it comes to exotic refreshment drinks like the Blueberry thyme champagne smash, it’s simply a healthy combo of rich flavonoids and antioxidants with health benefits such as skin aging protection and better cardiovascular function. While blueberries are well-known antioxidant super-foods they’re also associated with lowering your risk of cancer and heart disease. Besides being anti-inflammatory, these pungent fruits are known to lower bad cholesterol levels as well. Combining your favorite champagne and blueberries together simply makes a healthy mix perfect as occasional alcoholic refreshment. Champagne remains a personal favorite to many folks around the world. Just while having a drink at your home’s comfort makes you feel that you’re drinking on a fine occasion. 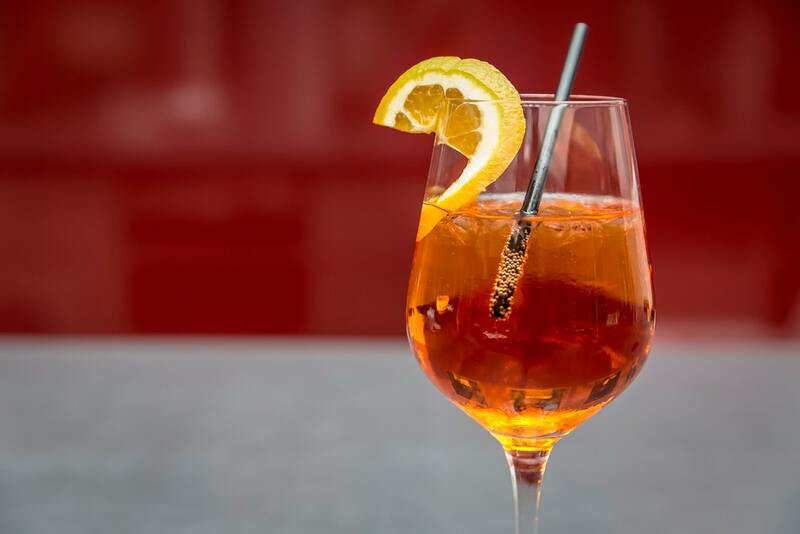 Regardless of what the occasion remains, people love to savor down every last sip of these fizzy swanky beverages and with the addition of right ingredients you’ve got a whole new set of flavors floating around your flutes. So it’ll be a delightful mixture to add up a little bitterness of blueberry to the bubbly wine and share a whole new nice and thick cocktail ready for the occasion. Blueberries are known to blend well with almost all types of wines and champagnes and sum up for great cocktail fiestas. Being well accompaniments to each other these make the cocktail preparation quite simple and the drink tastes flavorsome which is just perfect for any occasion. With the added blueberries the fizzy drink carries a sweet aroma and a little crispiness to the mouth. Blueberry thyme champagne smash is simply a light homemade cocktail or the next exotic refreshment drink to serve your friends. It’s up to you whether you try the recipe for a soothing beach holiday or while just baking cookies. The blueberry thyme champagne smash can be easily prepared under minutes in a large jar or a bowl. Adding honey is optional as it gives a nice thick texture to the mix with added sweetness. If you’re not a fan of sweet drinks, you can simply avoid honey or can reduce it to a minimum. Combine all the blueberries, triple sec, honey and thyme sprigs and mix and muddle these ingredients together in the bowl. Keep doing so till your blueberries get nicely mashed and the juices get separated from the fruit. While this prepares a nice and thick mixture of all the healthy ingredients you’ll start to notice a complete change in colors with much more tangy flavors and added fizziness. Now either you strain away the mixture and pour the concentration equally into champagne flutes or you can just serve the same without removing the blueberries. It’s up to you what flavours you want to have at your side. Garnish the mixture with thyme sprigs and top other empty flutes with champagne and finally you’re ready to serve this exotic homemade mix to your friends or guests.